The city of Miami and a development team comprising RCI Marina Group and Suntex Marinas won a key circuit court ruling. According to the South Florida Business Journal, the court order allows RCI and Suntex, which formed the partnership Virginia Key LLC, to proceed with an $80 million redevelopment of Virginia Key Marina. 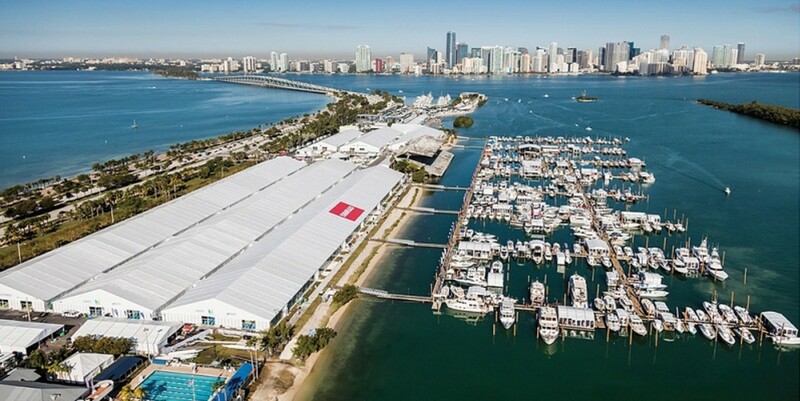 Virginia Key is home to the Miami International Boat Show. Last year, Miami ranked the combined bids of RCI and Suntex as the top proposal to redevelop the 8-acre marina. Biscayne Marine Partners, the longtime operator of the marina at Virginia Key and a runner-up in the bidding, filed a protest in July 2017 that sought to overturn the city’s recommendation. After a city hearing officer affirmed the city’s recommendation for RCI/Suntex group as the prevailing bidder, Biscayne Marine Partners filed a lawsuit to appeal the decision. On July 30, a three-judge panel of Miami-Dade County Circuit Court judges ruled that the city followed the rules with its request-for-proposals process in recommending Virginia Key LLC’s bid. The court determined that the city complied with the law, and all bidders were afforded a fair due process. “We do maintain that this RFP process was fundamentally flawed and, therefore, produced a flawed outcome,” Aabad Melwani, managing partner of Biscayne Marine Partners, said in a statement. Melwani declined to say whether he would appeal to the Third District Court of Appeals or ask the circuit court for a rehearing. Biscayne Marine Partners called its redevelopment plan Marina PARC. Virginia Key LLC proposed a lease with the city for up to 75 years. The developer said it would pay the city $60.5 million in rent during the first 15 years of the lease. The plan is to create 162 wet slips, including 94 for yachts larger than 60 feet, and 750 dry slips. The project would include two restaurants, marine-related retail and commercial space, marine services and facilities for the marina. The developers said the project would create 330 jobs. Dotson said his clients want the city commission to approve the lease deal, then send it to voters for a public referendum. City of Miami spokesman Eugene Ramirez said the city commission should take up the Virginia Key marina request for proposals in September. Biscayne Marine Partners can continue operating the marina if the RFP process is delayed by more legal proceedings.